There are a lot of Android Apps geared toward health. I am quite sure there are also a lot of iOS apps too, but I am sorry, I am not an Apple user, so I will look at the Android apps. I have been thinking for a while that I wanted to better track my health data so that I had everything right in front of me, could make comparisons, look back at my previous fitness and how my current level of fitness stacks up. I have actually been using Samsung S Health for a couple of years now, but my use has been sporadic. There are things that I don’t like about it, which is the reason that I don’t use it as much as I should. The food portion of it is geared toward the standard American diet, and if you eat Keto as I do, the app considers that unhealthy. For example, since my diet is high in fat, the app considers that as me being very unhealthy. It kind of bugs me and makes it where I don’t like using the app, at least for dietary data. I find the pedometer to be very inaccurate. If I count my steps manually, the app count is usually way off from my manual count, which I know is accurate. In previous versions of the app, I found it very difficult to get data from previous days or weeks. Like if I went to my doctor and wanted him to look at my blood pressure over the past month, it was difficult to pull up that data. Now, with the newest version, this has been addressed and you can get some nice graphical views of previous data and how it compares with current trends. It is poor in integrating with other health apps, importing data from those other apps, etc. What do I like about S Health? One of the best things is that you can input a lot of important data into it. Things like what you drank and how much, your blood pressure, blood sugar, and many other statistics. You can even track your sleep and such things. It is very versatile in allowing you to track just about everything that you would possibly want to keep track of. In the past, you could only run S Health on a Samsung phone, but now they offer it for any brand of Android phone, which is great! You can backup your S Health data to your Samsung account so that it can be imported if you buy a new phone. Overall, I find that the dislikes outweigh the likes for this app. I am still using it, but only to track things that cannot be tracked in the health app that I am using. Last year, I changed from a Samsung S5 to a Huawei P9 Plus. I love the Huawei phone a lot more than I ever liked the Samsung. The Huawei came pre-loaded with Huawei Health, another health tracking app. I tried it out for a few days but found it more or less worthless, so I uninstalled it and installed S Health. Even though I am not a big fan of S Health, I found it way better than Huawei’s app. I love the Huawei app, but not really their Health program! Well, it’s a Google app, it seems that Google has an app for everything. I started using Google Fit just a week or so ago. In many ways I like it, but it is also lacking in other ways. It does not have the capacity to track things like Food intake, Blood Pressure, Blood sugar, and other medical info. These are all things that S Health does track, but not Google Fit, and I feel (at least for me) these are important things that I wish to keep track of. For the current day, it is relatively easy to get a nice graphical layout of the current day’s exercise and some other metrics, but if you want to look at yesterday or last week, I am unable to find a way to see that data in a nice graphical way. I am new to using Google Fit, so perhaps I just have not found it yet. Integrates with other Google Apps to really enhance the way things work. For example, you can set goals in Google Calendar, and without doing anything those health-related goals are tracked by Google Fit and marked as “done” on your calendar without having to do anything. I love this. Google Fit tracks how I am doing compared to other Google Fit users in the area where I live. For example, right now it is telling me I am more active than 45% of other users in Davao City. It makes me strive hard to at least get about the 50% mark! I find this is a great motivational tool. It integrates with a LOT of other Health-related apps. Data from other apps can be imported automatically into Google Fit. 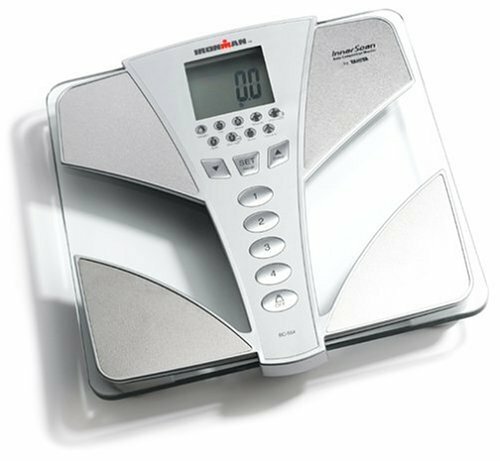 For example, my new Tanita Scale that connects to my smartphone by Bluetooth automatically sends my weight data to Google Fit. There are lots of apps that you can connect to Google Fit like this. Unfortunately, you cannot connect S Health with Google Fit, and I feel that is because S Health is probably proprietary. I find the pedometer to be very accurate, and that is important to me. In a new addition to Google Fit, just yesterday, it now tells you if you have a personal best. For example, let’s say that the most number of steps you have ever walked (tracked by Google Fit) is 8,000 in a day. If you do 9,000 tomorrow Google Fit will tell you that you have hit a new personal best! I like this, and it motivates you to push for a higher goal every time you exercise. In many ways, I am wanting to get a wearable, like a smartwatch that can track things like steps and other exercise related stuff. One nice thing about this is that if you are wearing a smartwatch it will track things at times when you are not carrying your phone. With the phone doing the tracking, you miss a lot of steps and other data at the times when your phone is sitting on the table in your bedroom or wherever else you might have left it. I consider this to be a big advantage of a smartwatch. One thing that I think is important, if I were to get a wearable device like a watch is to get one that can track heart rate. This is fairly new for the watches. Tracking heart rate means that the device can tell that you are doing physical activity because your heart rate is increasing, and it will log in that activity. With a phone, unless you are moving, nothing will be tracked. How can you be active if you are not moving? Well, one example is planking… you are holding yourself perfectly still in a position that requires the use of your muscles, thus your heart is working harder, even if you are not moving at all! My downside on this is that I don’t like to wear a watch, I find it uncomfortable if I wear a watch, and because of that, I have not worn a watch in years. I tell time when on the go by using my phone! If I were to get a smartwatch, I would have to adjust to wearing it, because I am certainly not comfortable wearing a watch. So a smartwatch is probably in my future. I feel that using tools like this to track your health improvements helps motivate you to keep on improving! That is important! So, what am I using? Right now, I use a combination. I use S Health to track metrics that are not available on Google Fit. I use Google Fit to track mostly exercise. I really wish that Google Fit would upgrade the app to include tracking of food and other important health information. Hopefully soon! What about you? Are you using any tracking devices to monitor your health? If so, share with me what you are doing and how it might help me! Thanks! I don’t like S Health requiring that location be turned on to work with any of the settings. Is it only my phone since the new updates? I don’t know, but I don’t like it. I used to use it faithfully but since it requires location, I rarely use it. That’s really interesting. S Health used to be pretty good about tracking my number of steps per day, and all the sudden it was very inaccurate, hardly counted anything at all. I kept getting notifications that I needed to enable location services, but I ignored them. It didn’t say anything about S Health being involved, but I bet that’s why it was suddenly very bad at tracking me. Anyway, I’m using the location services now, I just kind of had to do it in order to get an accurate count on my steps. Thanks for that Leroy, I had no idea.